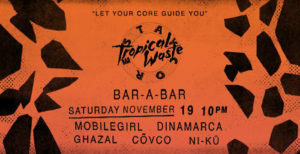 Tropical Waste and Staycore are performing as part of event series Clock Strikes 13 at London’s Bar A Bar on November 19. As part of a programme that includes Lawrence Lek and Kode9’s ‘The Nøtel’ performance at the ICA, the bi-monthly club night putting on shows at Stoke Newington’s The Waiting Room, joins together with the Stockholm-founded music collective not far down the road for a showcase of some of its members, including Mobilegirl, Dinamarca, and Ghazal, as well as Ni-kü, and Cõvco. 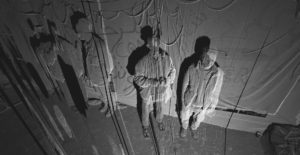 Tropical Waste has been running since 2014, putting on some of the most diverse and interesting international line-ups in the English capital, including artists likes Kamixlo, Endgame, Throwing Shade and Gaika. ICA Live and PAN are presenting an audio-visual programme of lectures, live performances and screenings at the ICA on October 4. Coinciding with Frieze 2016 and part of the week-long ICA Live programme, the evening includes talks, installations, screenings, and live performances from artists and ends with DJ sets in the ICA Bar hosted by Bala Club. This first of two consecutive nights curated by PAN features artists Aleksandra Domanović & M.E.S.H, Ville Haimala & Jenna Sutela, and delinear.info-founding PAN online collaborator, Harm van den Dorpel, as well as HELM x Embassy for the Displaced. The DJ line up includes Venus X, Mechatok, mobilegirl, SKY H1, and Bala Club. Multi-disciplinary label PAN has been building a network of international artists since 2008. It’s emphasis is on the “adaption to the rapidly changing cultural and material conditions of contemporary musicians and sound artists today”.